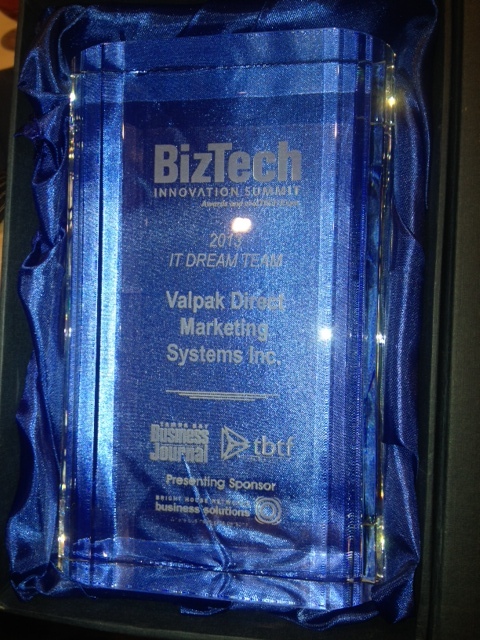 Congratulations to Valpak on winning the “IT Dream Team” award at the 2013 BizTech Innovation Summit. I like to think that goin’ Agile had a lot to do with it. I am so proud to work with such a great group of people. 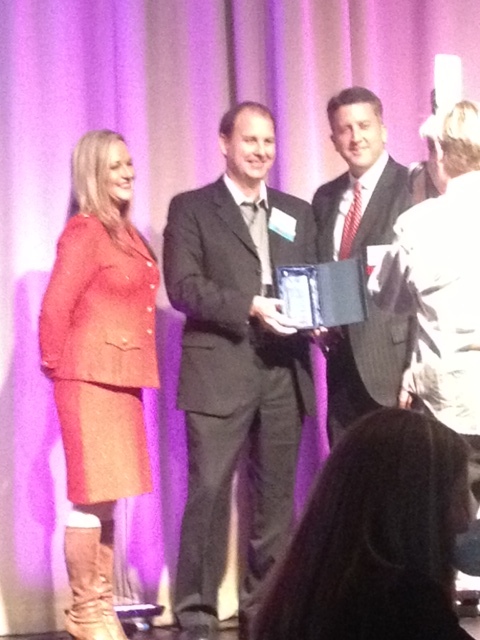 Chris Cate, CIO, accepting the award. The trophy for “IT Dream Team”.